The educational center can, after the acceptance of its application, enter the new management system, called semio, and make a profile of its new centre. It can register the data of its students, which will be used to confirm attendance of the educational program. It registers the data of the seminar to each student. 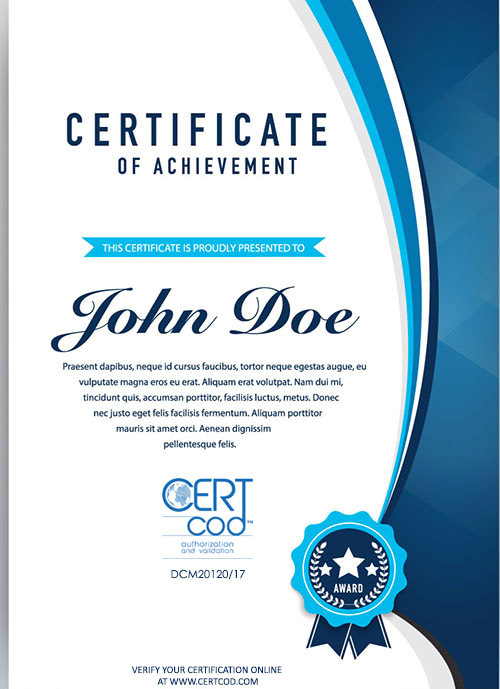 CERTcod gives a unique code for the printed certificate of each student. This unique code of the certificate of attendance/study/ qualification will always be available for online accreditation system if and whenever it is requested, with the profile of the training center. How exactly can I use CERTcod? CERTcod is an online assurance of your certificate-seminar you have attended from an educational institute. It is available upon request whenever this might be to confirm its validity. Which educational institutes can provide it? The ability to have a CERTcod certificate can be achieved at renowned schools-Universities-non-governmental institutes or organisations providing lifelong learning. Can an individual instructor offer CERTcod? Registration to and validity of CERTcod can only be given by the institution that implements the educational program and provides confirmation of program attendance. How can an educational institute offer CERTcod in its certificates? Please consult our website at the affiliate partners/centers page for more information about CERTcod.